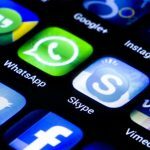 Saudi Arabia lifts ban on Internet-based calling applications such as WhatsApp and Skype on Wednesday, as reported by AFP . Voice and video calling apps will now be “widely available to users”, creating ease to promote entrepreneurship in the digital space, according to the government. “Digital transformation is one of the key kick-starters for the Saudi economy, as it will incentivize the growth of internet-based businesses, especially in the media and entertainment industries,” the kingdom said in a statement on Tuesday. Abdullah Al-Sawah, KSA’s minister of communications and information technology had announced on Twitter that the ban would be lifted within a week, on September 13. He had tweeted that this was “in cooperation with our telecom partners” and in line with “our customer first policy”. “We still strive for more,” he had said. This action was soon after Saudi Arabia asked social media and technology company Snap Inc to remove the Al Jazeera Discover Publisher channel in the country, as it claims to violate local laws. The conservative country is often been accused of censorship. The decision will cause a negative effect on Saudi’s three main telecoms operators – Saudi Telecom Co, Etihad Etisalat and Zain Saudi, whose significant revenue comes from international calls made by the living population in Saudi Arabia. Saudia is now paying more interest in creating revenues from the internet as the oil prices are descending rapidly. In August, honesty app Sarahah, launched by a Saudi developer Zain al-Abidin Tawfiq, topped the most downloaded free apps charts in the Apple App Store and Google Play Store. Other similar startups are also drawing the attention of venture capitalists.